Around the world, musicians and non-musicians alike are hunkering down to write an entire album in just one month. The Record Production Month Challenge is a light-hearted international project with one goal: to encourage artists to write, record and produce a 10-song, or 35-minute, album over the course of February. It’s the 12th year running for the RPM Challenge in Newfoundland and Labrador, with hundreds of albums submitted in years past, said co-ordinator Elling Lien. “Really the only thing we do is give you a deadline and throw a little party at the end,” he said. Lien admitted that level of creative freedom might be daunting to some, but for those feeling composer’s block, he suggested at least picking up an instrument and seeing what comes of it. The challenge needn’t be a lonely task, Lien added — group albums are always welcome, while a few events around the province can give aspiring artists a boost. One improvised recording session earlier this month, he said, featured people using blenders and other household appliances to create a raucous chorus. Other sessions are coming up, he added, allowing musicians to share what they’ve been working on and iron out the kinks with advice from fellow artists. Electronic music producers especially could benefit from that, he said. “Electronic music can be lonely, it’s a lot of bedroom producing,” he explained. For musicians in St. John’s, The Sprout restaurant is holding a live open-mic recording on Feb. 21. Everyone who gets up on stage will be included in a compilation album. Downtown venue The Ship is holding a similar session the same night, he said. Once the album is done, Lien says you can mail it to UnPossible NL, the organization that runs the RPM Challenge, just as hundreds of others have done over the years, he said. 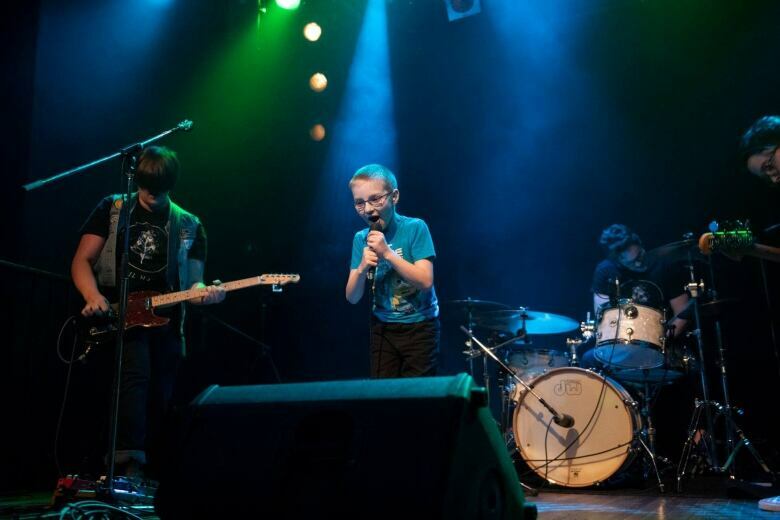 Last year, one particular submission stood out: a fast-paced gem by punk rock group Banana Vacuum, fronted by 8-year-old Mark Cherwick, who took much of his inspiration from his “annoying” sister. Lien has seen a variety of strategies to get the album out in 28 days. Some entrants take the whole month to lay down their tracks. Others might only have weekends to spare, and still more “only have 35 minutes in the entire month,” he said, and record it all in one blast.